IB Diploma Programme (DP) students at TNS Beaconhouse, in Pakistan, are particularly passionate about empowering girls through education. When they heard that local girls’ school Kotwadada, in Lahore, needed a complete makeover, they were keen to help. Due to incomplete electrical wiring, students would often go long periods without electricity. There was very little classroom equipment and no chairs or tables. 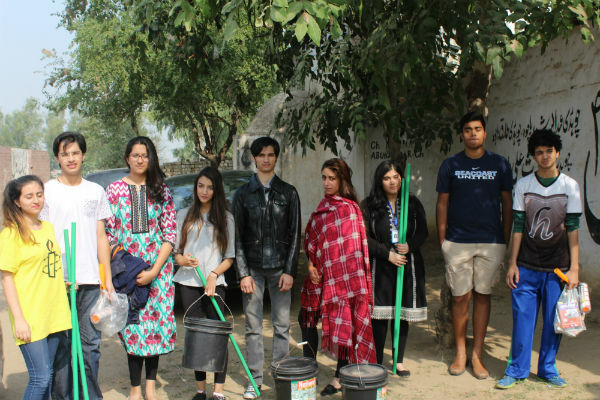 The students collaborated with service organization Rotary International. They began the project by conducting a survey assessment of the campus and its surroundings. They also met the Head of School and teachers, and distributed food to all students. Almost 200,000 Rupees (US$1,900) was raised from bake sales and donations from families and friends. The funds were used to hire an electrician to fix the wiring and buy a new door, furniture, fans and paint. The students spent time redecorating the classrooms. 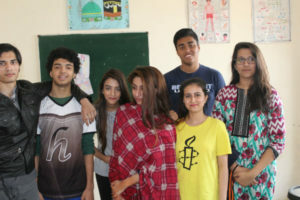 Initially, seven TNS Beaconhouse students were involved in the Creativity Activity Service (CAS) project but, as it progressed, five other volunteers joined to lend a helping hand. Although the school refurbishment is complete, many TNS students still visit the children at Kotwadada every weekend, teaching them English, mathematics and arts classes.